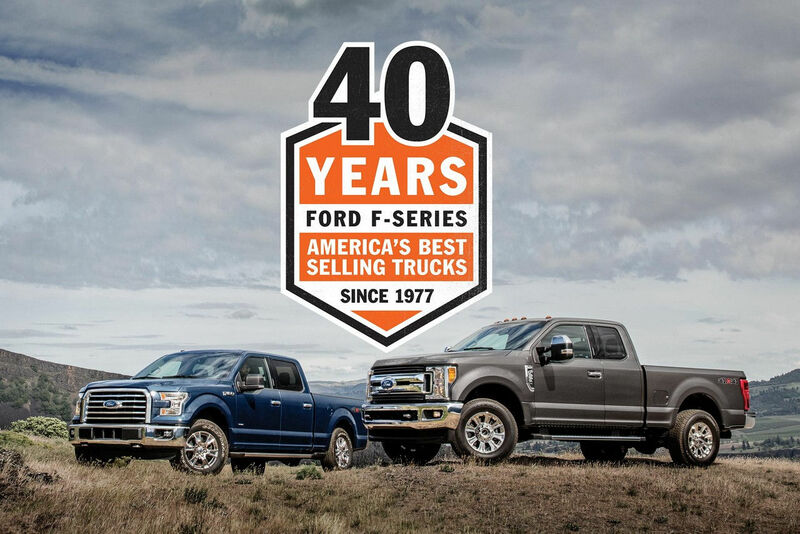 The Built Ford Tough lineup of F-Series Ford Trucks have once again earned the honor of being America's Best Selling trucks, making this the 40th year Ford Trucks have received this distinction. Since 1977, Ford F-Series trucks have been providing the power and performance that truck owners demand. The 2017 Ford F-Series trucks maintain that long tradition of strength and durability, combined with new technology and innovation like BLIS® with Cross-Traffic Alert and Trailer Coverage, Aluminum-Alloy Body and Steel Frame, SYNC® Connect and SYNC® Connect. The 2017 F-150 lineup of Ford trucks available at Bozard Ford includes XL, XLT, Lariat, King Ranch, Platinum, Limited and Raptor models. Bozard has one of the largest selections of new Ford trucks that you will find anywhere, so we're sure to have a truck that offers the combination of power, capability, technology and styling you are looking for. Browse our selection of New Ford Trucks for Sale on our website or visit our dealership in St. Augustine.